Hair appears instantly nourished and revived. From the first application hair fibre looks shiny and feels soft, smooth, and lightweight from the root to the tip. Apply evenly to damp hair. Rinse. Use after hair has been cleansed with Pro Fiber Revive Shampoo. Follow with ProFiber Revive Leave-in treatment. For regular use. Every 4th wash substitute Pro Fiber Revive Conditioner for the recharge treatment to extend the long-lasting effects of Pro Fiber. Pro Fiber Revive at-home routine (Shampoo, Conditioner, Masque and Leave-in) follows exclusive in-Salon treatment to prolong the effects of the APTYL 100 on the hair fiber. * Instrumental tests after the salon routine – up to 4 Pro Fiber shampoos (Revive/Restore/Recover). Inspired by professional resurfacing technology, the at home Pro Fiber Revive range prolongs the care effects of the Pro Fiber APTYL 100 in-salon service which coats the hair fibre as if resurfaced. 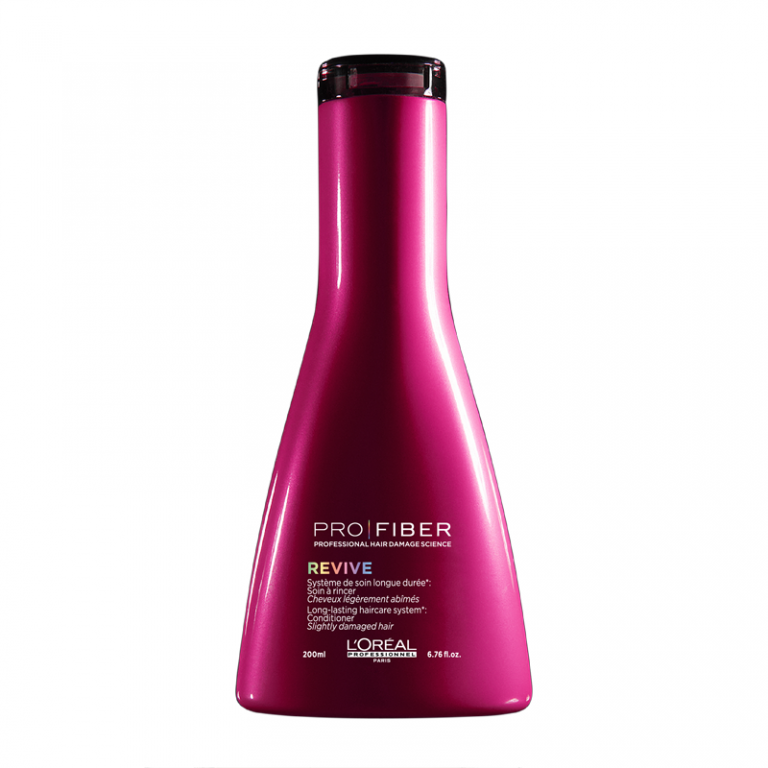 Buy L’Oréal Professionnel Pro Fiber Revive Conditioner 250ml on-line today at Riah Hair.